Although hardly any weekend passed without a heavy rain, especially in the middle of Sunday, a couple of weeks ago, Berlin recorded one of the highest temperatures in the last 10 years, with around 38 C. In warmer part of the world, this can be only the beginning of a hot summer, but here eveything is more dramatic. 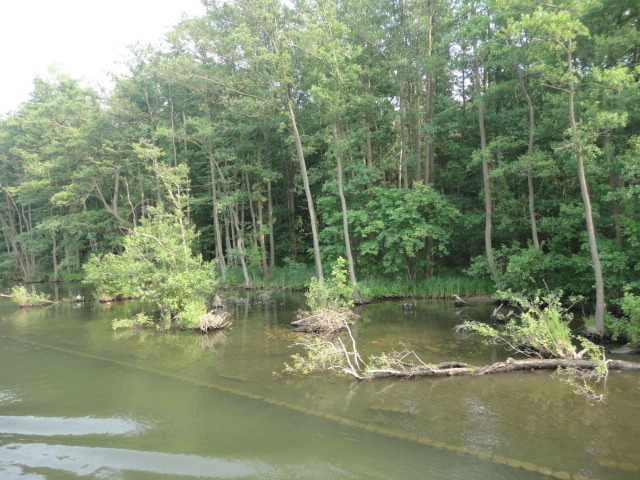 For running away of the short-term heat, I decided to take a Berlin-Brandenburg ticket for 31 EUR - available for 5 persons - and head to Müritz Lake, that wanted to visit for a long time. The trains - going direction Rostock - were full of people, with some wagons lacking air condition. After crossing an area with picturesque lakes, we arrived at Waren in the very middle of the day. 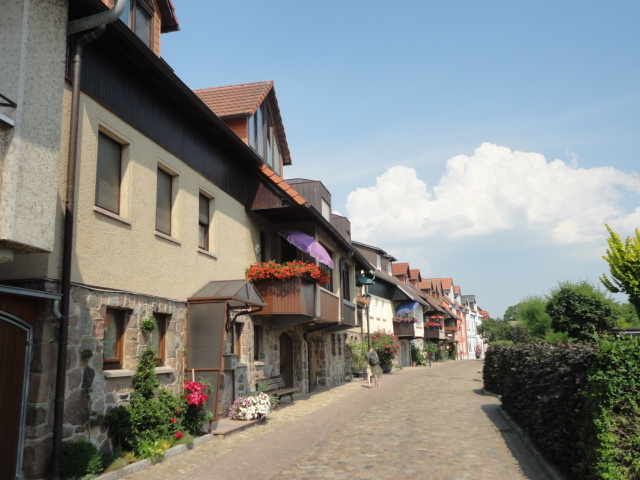 Colourful buildings and old streets were looking empty under the hot sun. Slowly slowly, I followed the arrows leading to the old city center. 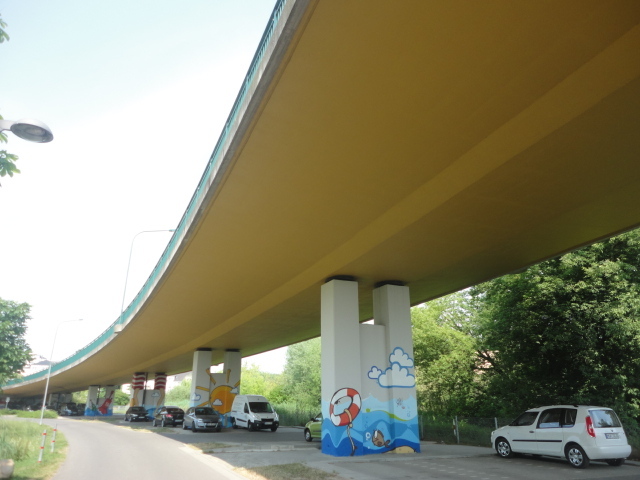 The big highway with comics-like graffiti was extending his shades over half of the road, that was also that empty that I was able to hear my fast steps crashing against the sand. 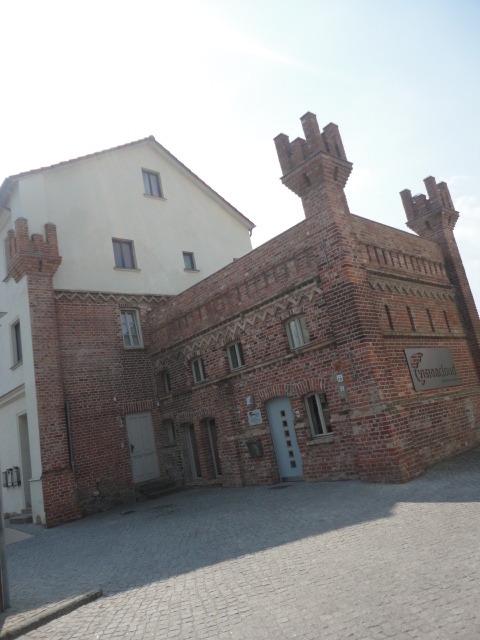 Before entering the proper historical area, a first stop at the former border Güstrower Tower, a former gate into the city at the end of the 19th century. Although, there is a big selection of hotels in the entire area, those interested to get a local taste, can chose many private appartment offered to rent. 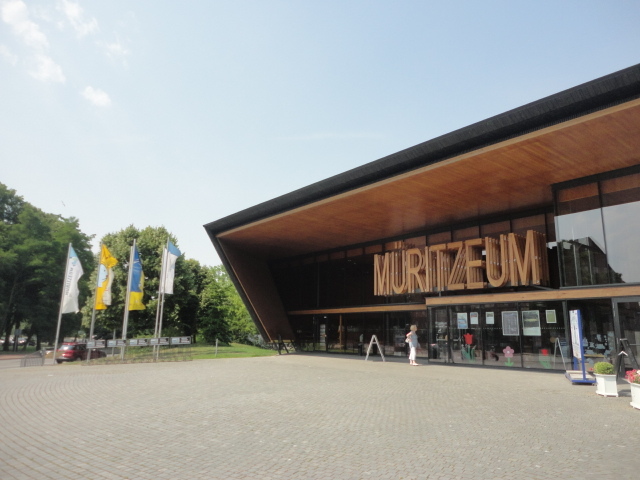 Heading alongside streets with small shops and fish restaurants, we made a stop at the famous natural museum of Müritzeum, featuring the rich natural landscape of the area, considered the largest water-covered region in Germany. Accompanied by the deep screams of seagulls, we use the time before our boat trip to see more about the city. 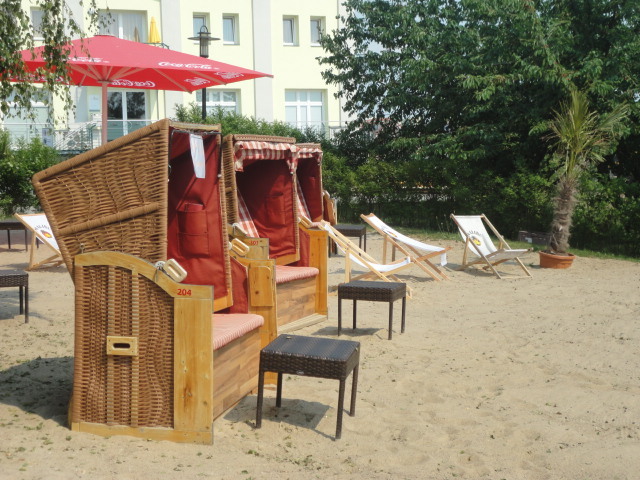 The waterfront bars are ready to welcome the guests, with chairs on sand, local fish dishes and many German beers. Everything looks pretty and clean, with glamorous boats put on sale and tourists enjoying their outdoor lunches protected by the big umbrellas of the terraces. 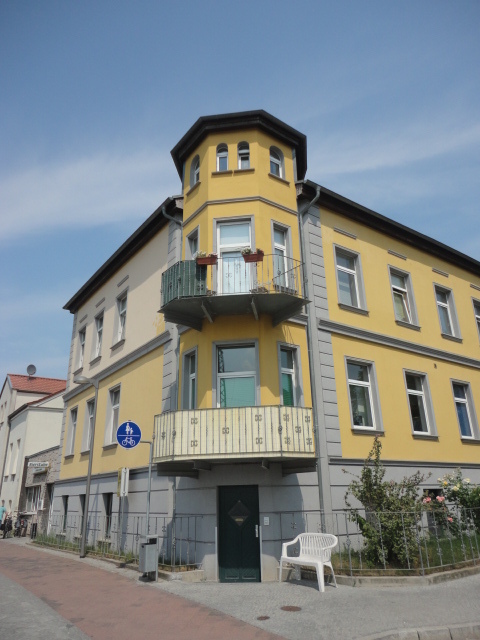 During the communist times, Waren used to be a favourite summer location of the Communist elites and the city always benefited of the financial attention of the authorities. Years later, it looks like a quiet Riviera place, where you chose to go because you just need to rest, eat and eventually take a big tour of the lakes. If curious enough, you can find mysterious places, with colourful flowers at the entrance, and upper level with a view over the sea. 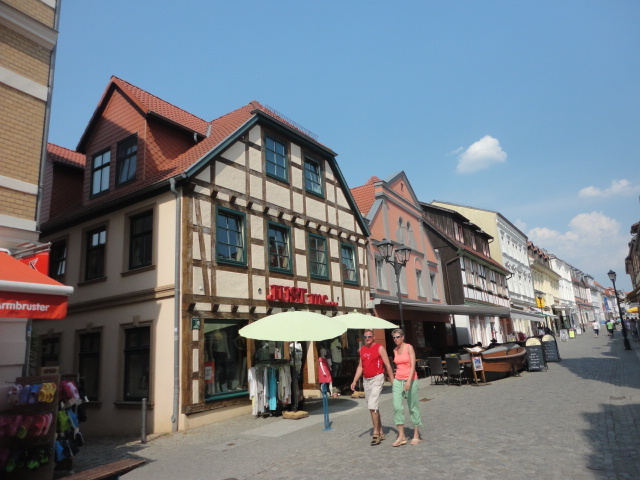 The historical center has many old buildings, including half-timbered houses. Historical city walkings are taking the visitors slowly around the most important buildings and their histories. 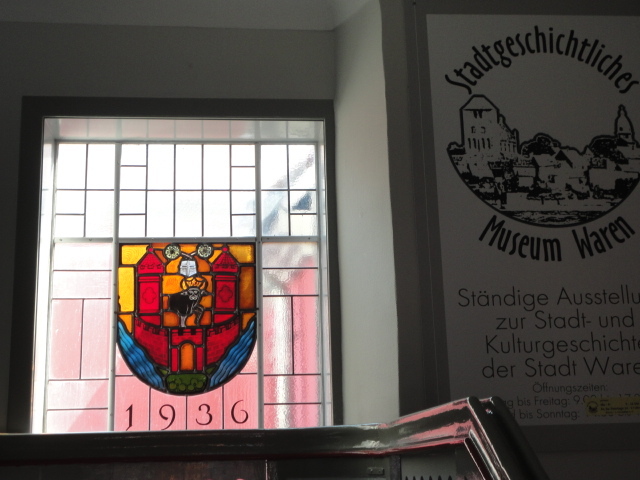 More history is ready to be discovered at the Waren Museum, with its lively coloured stained glass or at the historical Löwer Apotheke, where between 1 March and 3 October, guided tours are available between 11 and 13 o'clock. Instead of taking any of the tours, I prefer to face the hotness and walk the Lange Straße where everything is full of life and tasty foodie choices. And not forget about the many icecream options. 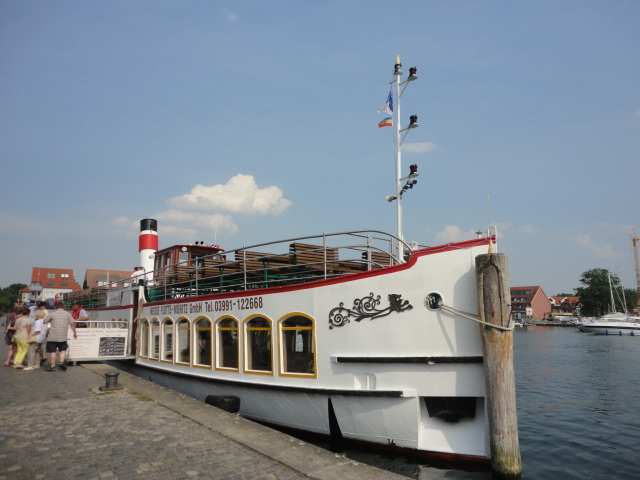 When I was about to consider myself a victim of the heat, it is about time to take my seat on the former steam boat Europa. It is the last shift of the day, and for the next one hour, I am taking sunbaths and having cold drinks on the deck. 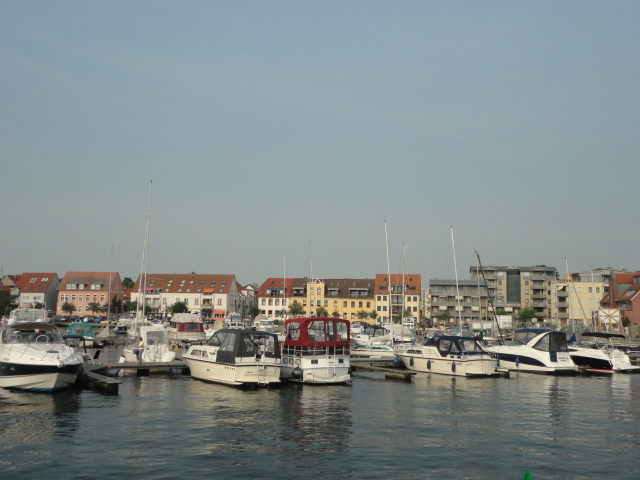 The view is charming and the sea is busy with boats of different styles and for different budgets. 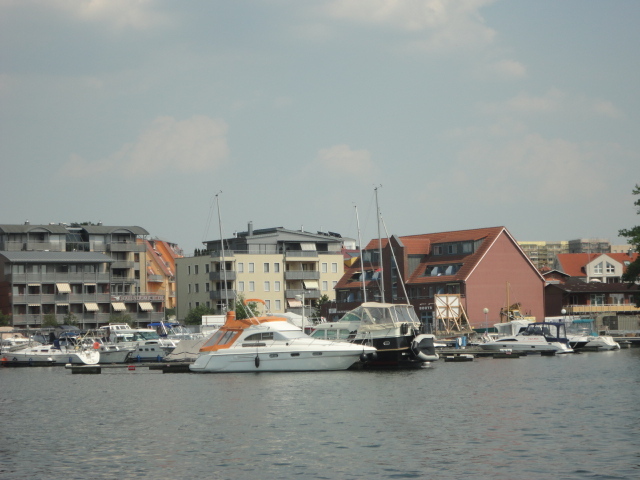 Boat renting in the port is also possible. 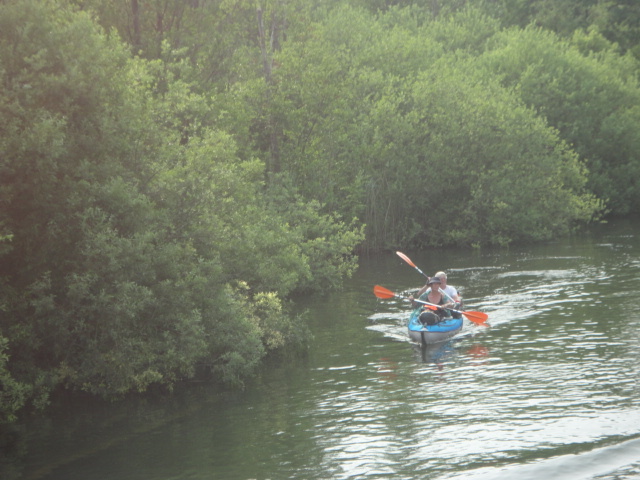 The real sport heroes are doing it the hard way, by kayak. The lazy travelers are taking pictures and thinking poetically about the meaning of the wild nature. As there are not too many people on the boat, the silence is overwhelming enough to hear the splash of the water against the wood. When I am back on the ground, ready for the trip back to Berlin, I only blame my late morning start for missing the chance to spend more time around the lakes. 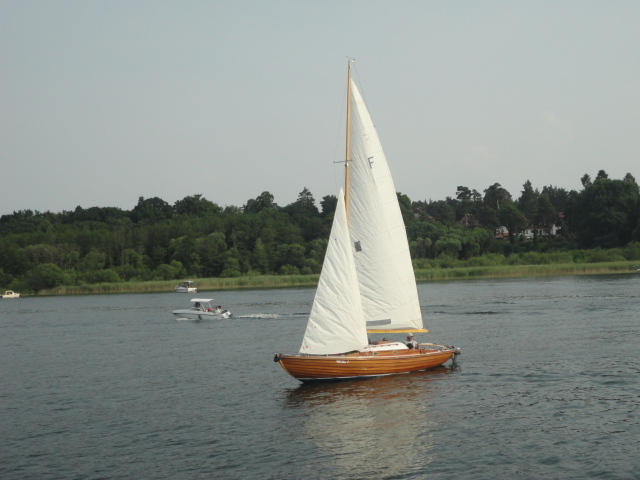 With still some good weeks left till the end of the season and the hope of more sunny weekends, I am carefully planning already my next trip to Müritz. And I know very well what my secret destination will be this next time. 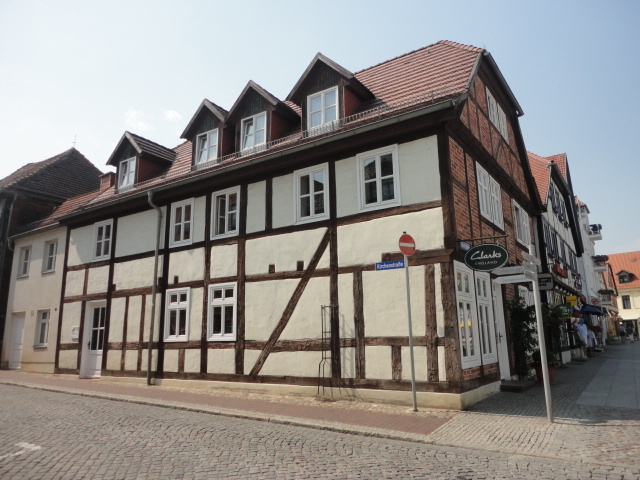 For more pictures from Waren (Müritz), have a look at the dedicated Pinterest board.